Products – STOBER Drives Inc.
Knowing which vendor to choose from can be difficult. Here’s why Machine Tool Research (MTR) in Rochester, New York, chooses to do business with STOBER. “We’ve used STOBER for years to rebuild equipment such as lathes and milling machines for machine tool customers. Every job is project-based and requirements are always different, but STOBER is the perfect match for our gearbox requirements. Its SMS series allows us to choose from a large range of ratios, mounting configurations, housing options, and more. We use helical bevel reducers and planetary gears, so are often driving ballscrews or dual rack and pinion applications. Have you every purchased a gearbox and had difficult installing it? STOBER took this into consideration when designing our gearboxes. Our MGS product line have an input coupling hub and sleeve for quick installation line-up. Connecting the motor adapter to the motor is simple – just insert the four bolts and tighten. Every unit has an input coupling to eliminate the motor seizing to the gearbox shaft and misaligning. Our patented wobble free bushing system allows the unit to easily slide onto a conveyor shaft. Our goal is to allow the customer to quickly install their STOBER unit and allow production to resume. You can even have our application support team visit your plant and teach proper installation procedures. STOBER was visiting a midwestern brewery who was experiencing frequent failures with a competitor’s gearbox. The units were failing on the brewery’s filler infeed conveyor. This conveyor was cleansed every day. The sanitation process involved spraying all equipment with heavy chemicals to prevent bacteria growth. The competitor’s gearbox could not handle the harsh washdowns. The seals corroded and allow ingress to contaminate the lubrication. The gear reducers failed every 1-2 months. The customer agreed to using a STOBER gearbox in their harsh environment. Since STOBER reducers require no maintenance and are IP69K Certified against water ingress, no contamination occurred. Our dual output seals prevented any water from entering the unit. The brewery saved a tremendous amount of money since there were no failures and STOBER units lasted over 8 years. They also enjoyed extended durability and reliability in their operations. Servo motors don’t necessarily need a planetary gearbox. In addition to the great planetary offering it has, STOBER offers the ServoFit™ Modular System. 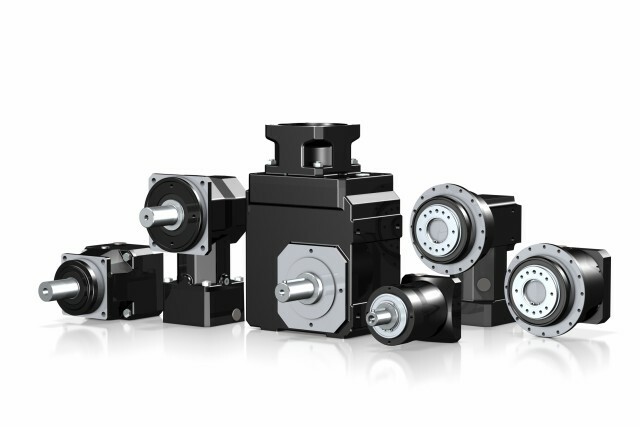 These gear reducers use helical gearing and can handle your servo motor needs. The SMS series literally has billions of options – various mounting configurations, case sizes, ratios, output options, and more equate to anything you need for your machine. Choosing what you need is easy – use our online product configurator or contact our application support team to find your product. STOBER serves a variety of industries, including printing. We had a customer who had problems with their flexographic printing machine. Customer was using a competitor’s gearbox. The application required very high input speeds. The competitor’s units were overheating and destroying the seals, causing oil to leak. STOBER went to the customer and evaluated the machine. We recommended our P series unit with the servocool option to improve airflow and reduce seal wear. This eliminated the issue and allowed the customer to save money by extending the gearbox’s life, minimizing maintenance, and reducing inventory. Call us at 1-888-786-2371 or visit www.stober.com to learn how we can help you with your application needs! What Makes a STOBER Gear Reducer Require No Maintenance? How do you make the world’s toughest gearbox, requiring no maintenance? It starts with the gearing. Our high precision gears are machined after hardening to provide the best quality. This minimizes metal shavings in the oil. We use magnetic drain plugs to remove any particles from the oil. No breathers or vents prevents any contaminants from entering the gearbox and keeps oil in. Our units are sealed for life, eliminating leaking. STOBER works with the best suppliers to provide the ultimate quality. We use SKF bearings to eliminate premature failure, Freudenberg seals that can withstand harsh environments, and Mobil lubricants that do not create pressure that blows out seals. Everyone likes options. STOBER can give them to you with our wide product range for motion control applications. We offer inline, offset, and right angle gear reducers. Our planetary gear reducers are available in ratios 3:1 to over 600:1 and our helical reducers are available in ratios 4:1 to 552:1. Options for our products include food and corrosion resistant coatings, integrated brakes, cooling systems, and ATEX Certified Explosion Proof. Rack and pinon systems are also available for linear applications. From multiple output options to housing styles to ratios, we have billions of combination. We have the solution for your needs. Visit our website to learn more: http://us.stober.com/motion_control_page/ or call us at 1-888-786-2371. STOBER’s EZHD, EZHP, and EZM are all Rockwell Enabled. They work with the Kinetix 6500 Version 23 and up as well as the Kinetix 5700 Version 2 and up. They utilize Heidenhein Endat 2.2 digital single turn absolute positioning. To enable the motor, choose the correct STOBER motor from the drop-down menu. On the feedback tab, choose alignment = motor offset. This will trigger the drive to use the commutation offset that is stored in the nameplate. If you wish to test the motor, you can highlight the motion group you are using and select motion direct commands. Select the command you want to use and click execute to start the command. If you need any assistance, please contact STOBER at 606-759-5090. Floor space is expensive and uncompromising, limits the ability to place more machines, and increases production. STOBER can reduce equipment footprint by 20%, along with minimizing maintenance and components. STOBER’s large selection is ideal for the diverse needs of packaging. Continuous/intermittent applications can be filled for dry, wash-down, and ready to eat environments. View our packaging industry solutions! Why use a STOBER EZ motor? STOBER released its next generation EZ hollow bore motor series. The hollow bore is ideal for high speed applications where air or electrical wires need to pass through the motor. The advantages of this product line are the shorter length for more compact solutions, high torque density, optional braking, and a hollow bore. It also offers flexibility with compact size and mounting, dual shafted output, increased accuracy and speed, and stronger bearings. What’s the difference between an EZHD, EZHP, and EZM? EZHD is a hollow bore motor with a direct drive. There is no gearing in this unit. The EZHP is a hollow bore motor with integrated gearing. The EZM is a hollow bore motor that can drive a nut from the ball screw.